I don't like spaces that look too stuffy and uptight. I like real, lived in places- like the space is used and loved. I mean, I get that things are staged for photographs- flowers are added, the clutter is cleaned up and things are moved around a tad. But to me, the photos below look real. They are not museums, not tables so full of stuff you can't touch something without knocking down something else, they are everyday items. 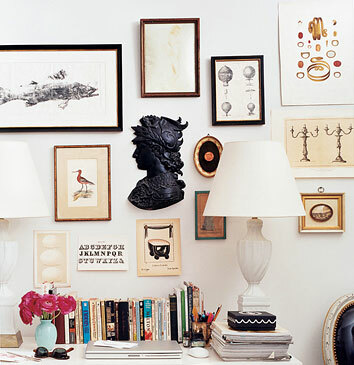 Desk supplies, jewelry, favorite antiques, books, magazines, a treasured flea market find- they are your things. 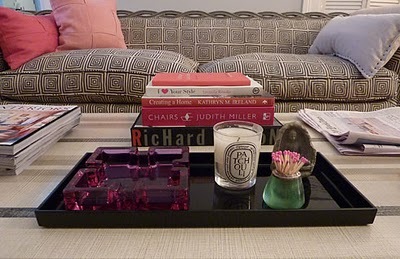 Photos from, top to bottom: via thisisglamorous.com, Carrier and Co, Courtney Barnes Style Court Blog, Country Living, decorpad, Domino, Eddie Ross, Emma Jane Pilkington, House and Home, Jean Randazzo, Jean Randazzo, Lonny Mag photo by Patrick Cline, Lonny Mag photo by Patrick Cline, and Rita Konig's apartment from New York Times via absolutelybeautifulthings.com. I agree, it does make it more lived in and also reassures me that it's ok to have stuff out. I LOVE that first photo. Wow. So feminine and real. The presentation for the shoes is great!! 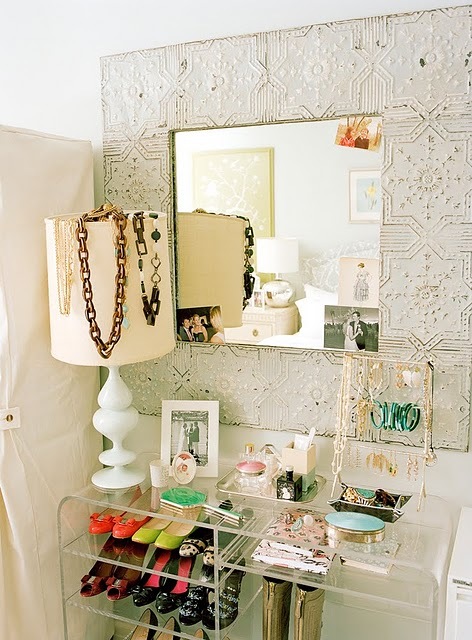 My dream is to have a dress up room one day :) Vanity, shoe display, gorgeous couch, the whole nine! Just Lovely. i completely agree....i love every single photo. such beauty! 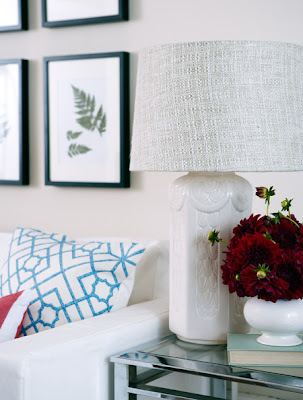 also shows that flowers make the ultimate personal touch in the home. I couldn't agree more...Great Post. Agree a million percent. I've got a 21 month old....life gets in the way of a magazine ready house....that's for sure! 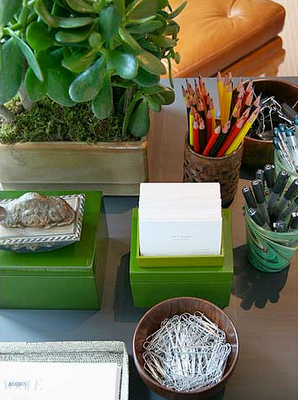 yes, this is the kind of clutter I like: pretty clutter! even useful things can be pretty! 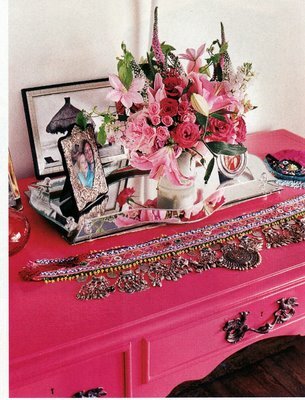 I used to love to visit my Grandma and visit her "vanity" and look at all her pretties. I love that these images show life. All so pretty and so glam in a real way! I agree. I love spaces that look lived in! totally agree! i abhor staged rooms to the point of no personality. blech. those are all images that are def staged but seem a bit effortless in their approach..
ooo..just noticed...last image would have been less staged had someone had the sense to light the goddamn candle. big pet peeve. should have let it burn for a while for a more lived in feel. don't you think? Jenny, you are right- I hate that the candle was not lit- I had to erase that picture because it annoyed me so much. I love spaces like these. Real, lived in ones are the best. I hate buying fancy magazines because everything in them is so staged. Don't get me wrong I'll buy a décor magazine once in a while but they always make me so depressed because I know my house will never look like that, but maybe thats a good thing. :) Great photos! gorgeous! I would happily live in any of those spaces. I love all these photo gorgeous! Eye candy for sure! I love seeing "real" rooms like these! 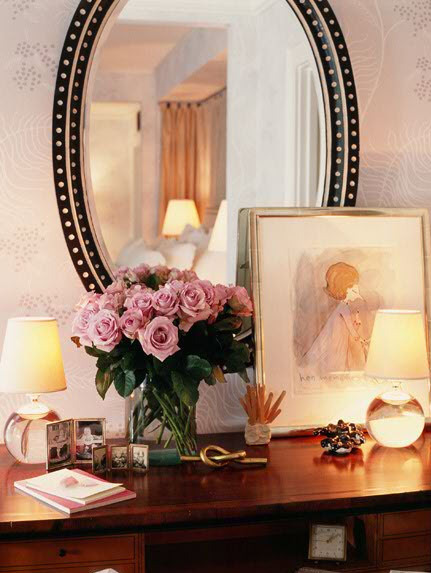 They make you feel like the look or style is more attainable than those super perfect magazine rooms! 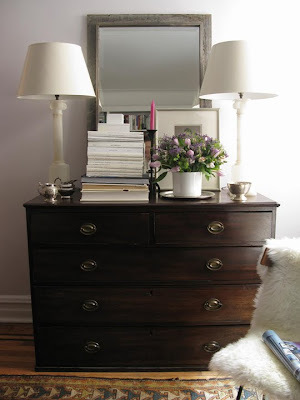 Loving all of these vignettes...very inspirational. Great rooms! 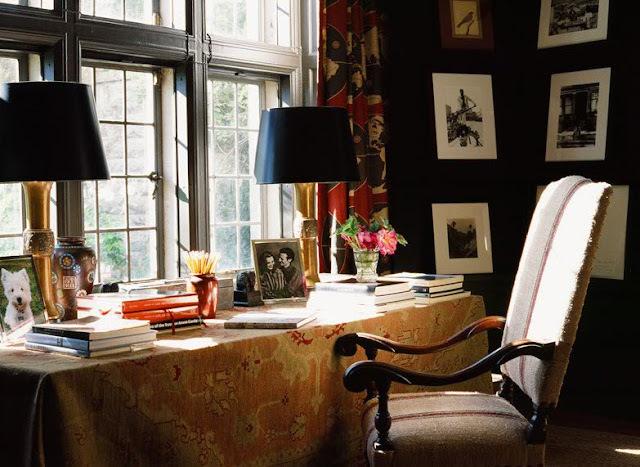 I love a room that is useful and pretty! did you get our email about the blogger series? Those are great inspirational images! Whenever I start to freak out because our house has gotten "messy" the hubs calmly reminds me that we LIVE here. It's supposed to look that way. These photos are refreshing! I about had a heart attack with that first picture:) Love the color splashes in these images! I really need a lot of things in these images. Just an FYI. LOVE it all. 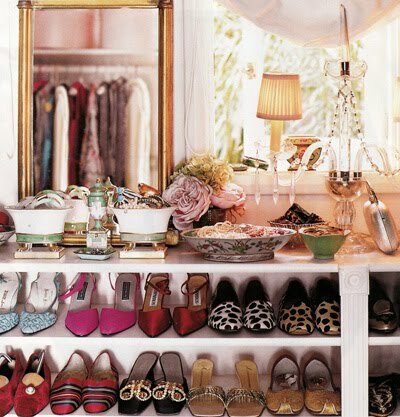 What I wouldn't give to have a closet like the first image! Seriously Stunning! Love all of these images! 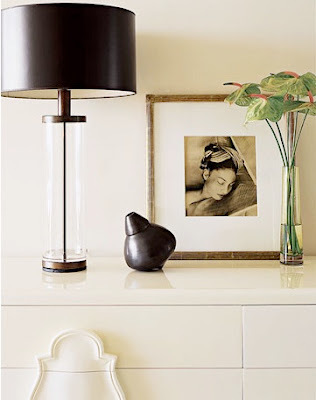 The two table lamps on the 10th image down are adorable. I would put those in my bedroom on the bureau in a heartbeat! I totally agree, I adore all of these spaces! These photos are beautiful- I hate, hate, hate looking at something in a magazine and thinking "But they can't LIVE like this"